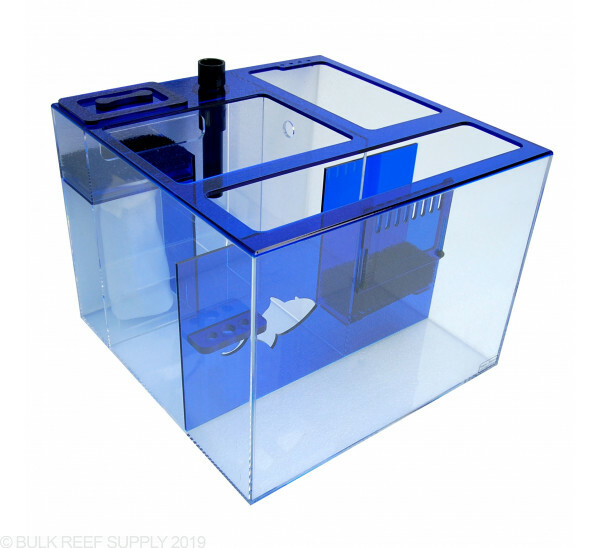 Trigger systems has been making sumps for quite some time now and they have won us over with their attention to detail, practical designs and overall aesthetic appeal. 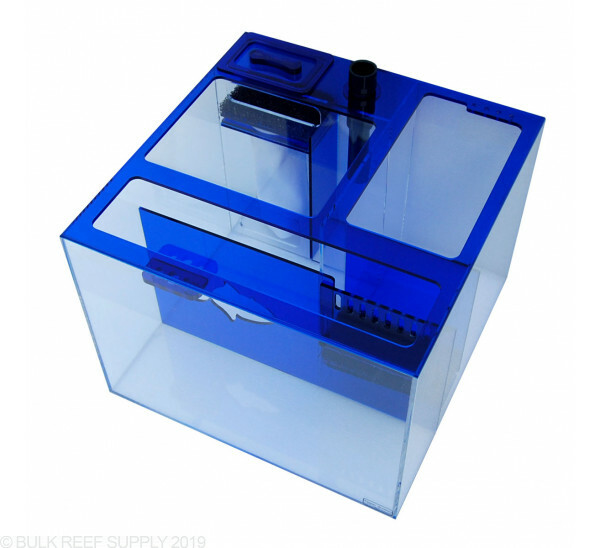 With the ability to modify the sump to your needs with adjustable water levels, interchangeable plates , tube holders, probe holders, and enough room to put equipment where ever you need it. 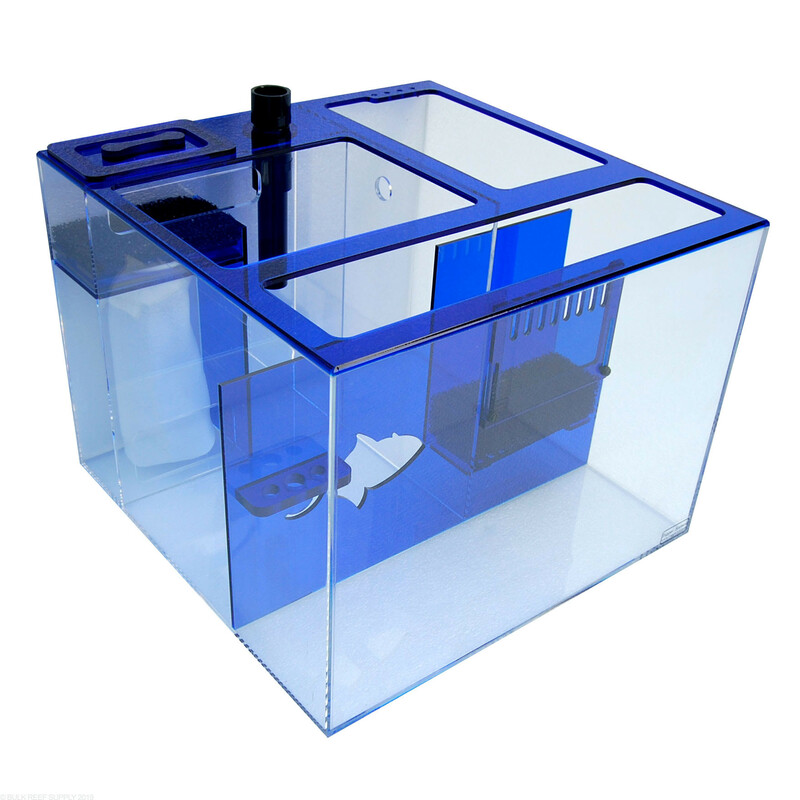 Water enters the Sapphire sumps into a dedicated section where the water will then flow over into Section 1. Section 1 where the interchangeable plate is located allowing for either filter sock or foam block mechanical filtration. 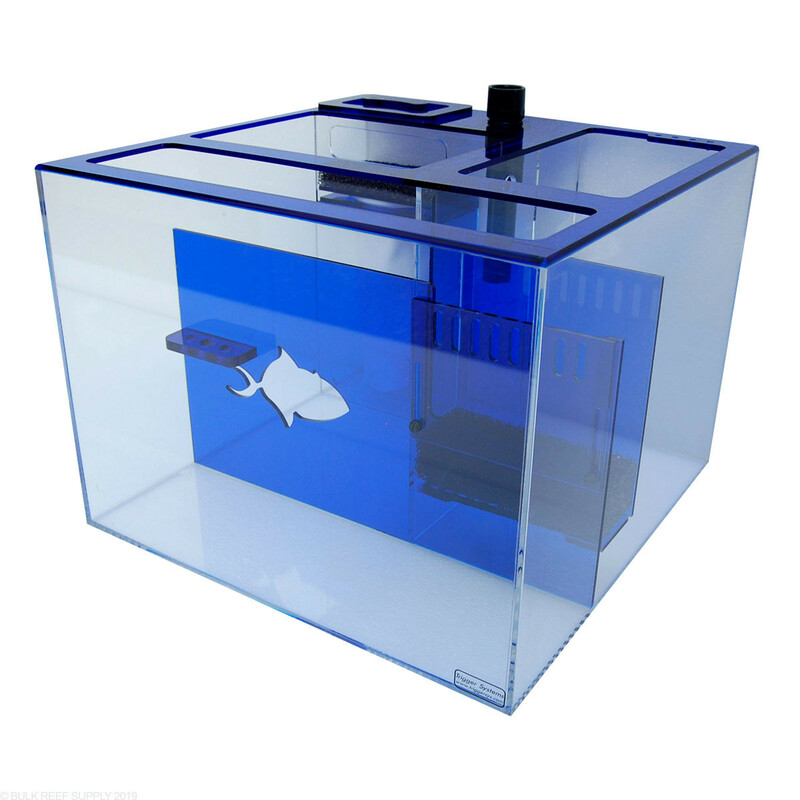 This area is covered with a lid to prevent water splashing. Water then flows out the bottom of Section 1 into Section 2. 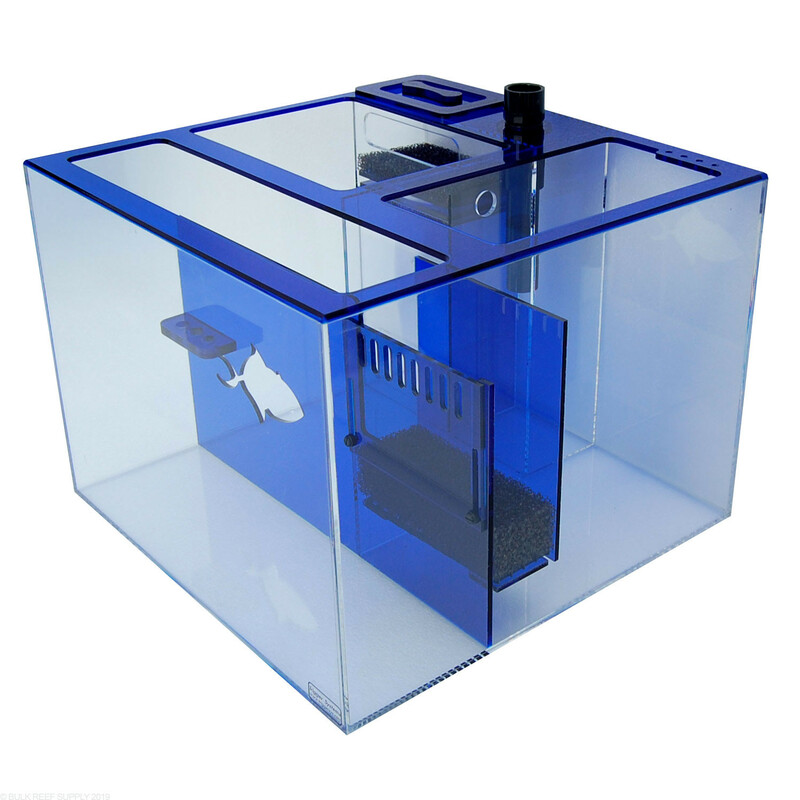 Section 2 is typically where the protein skimmer is located. 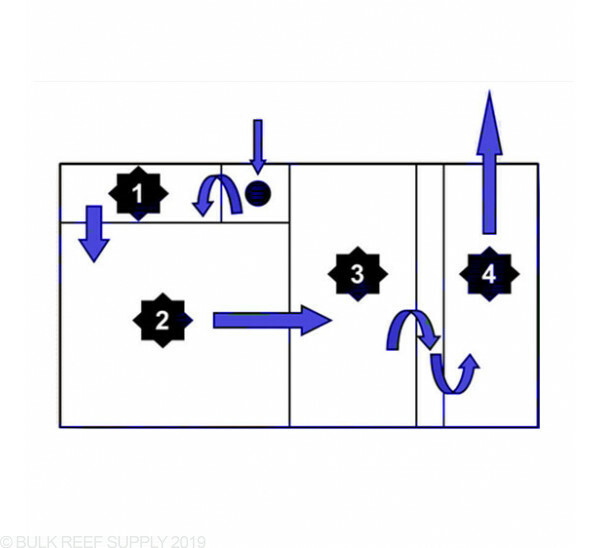 Water then flows through the ‘Trigger Symbol’ cutout into Section 3. 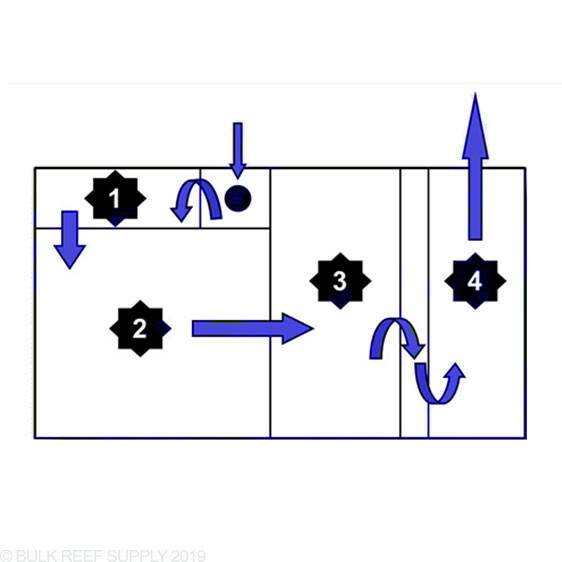 Section 3 is the refugium section. The water then flows over the second baffle through 2 perforated platforms and under the third baffle into Section 3. 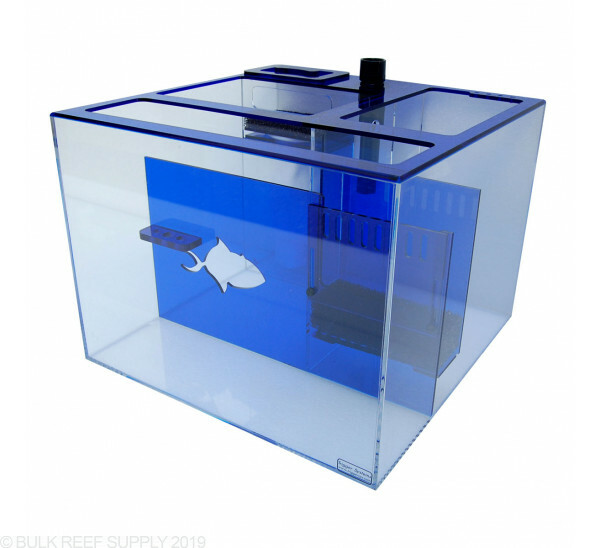 The top perforated platform comes with a foam block filter and the bottom one is open to use for several different filtration methods (bag of carbon, bio balls, rubble rock, etc.). Section 4 is the return water section back into the tank. This is where the return pump will sit. 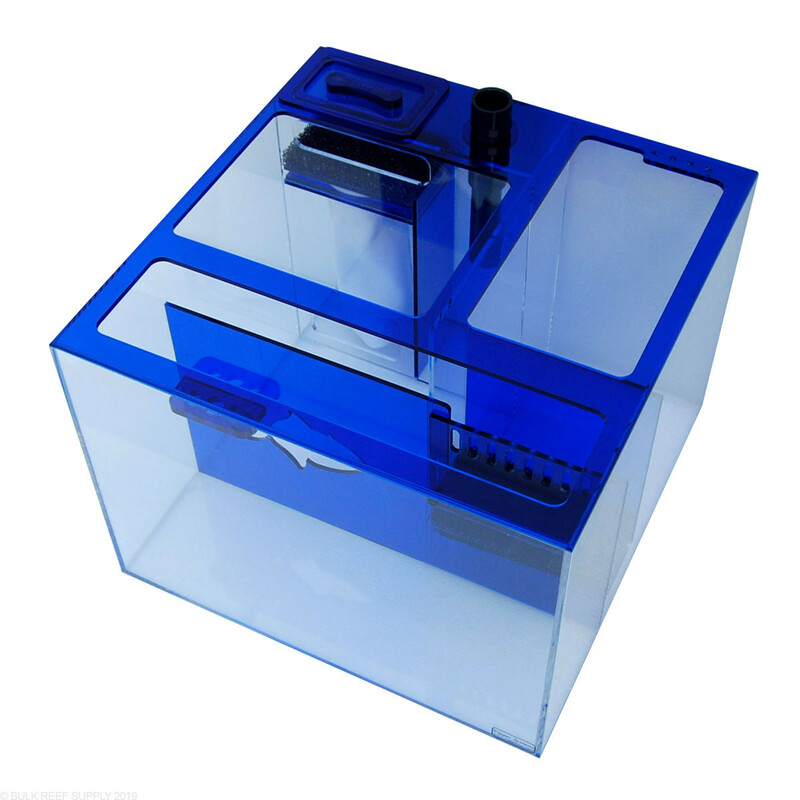 All Sapphire sumps come with a probe holder that can hold up to three probes. The two outside holes are 0.63” in diameter and the center hole is 0.8” in diameter to fit different sized probes. 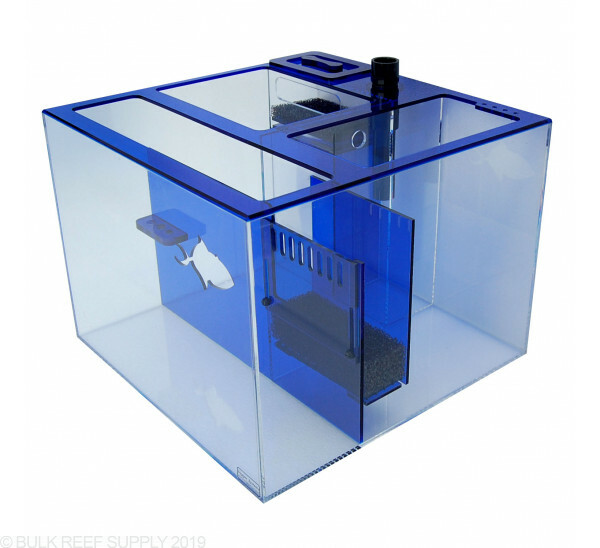 All Sapphire sumps also come with 4 holes in the top support brace for holding in place 1/4” OD tubing from reactors, dosing pumps, ATO, etc.